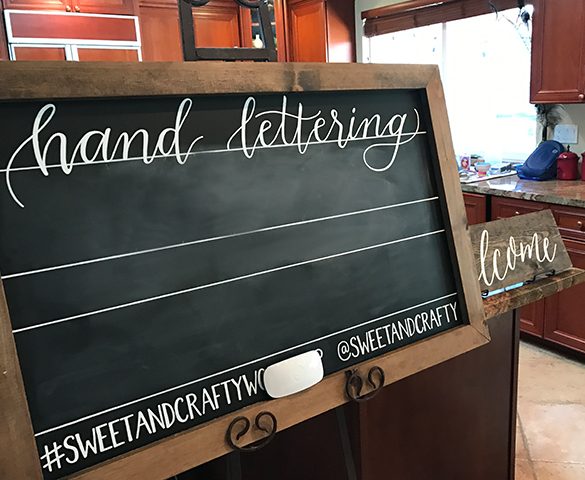 After a number of people reached out to me asking if I can teach them how to make signs like the ones I hand letter, I realized I should start teaching workshops for those who are interested. 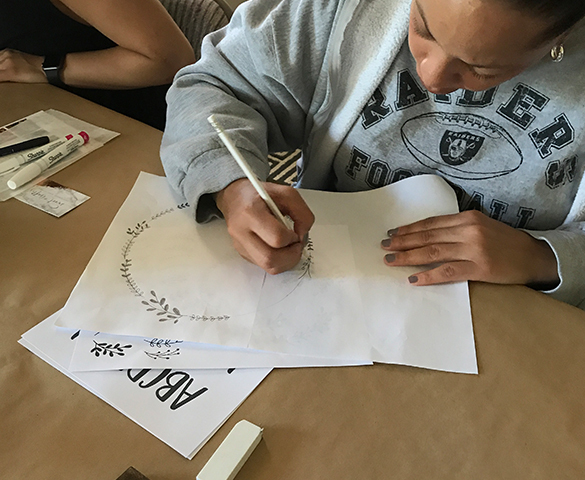 I learned something new about myself in the process. 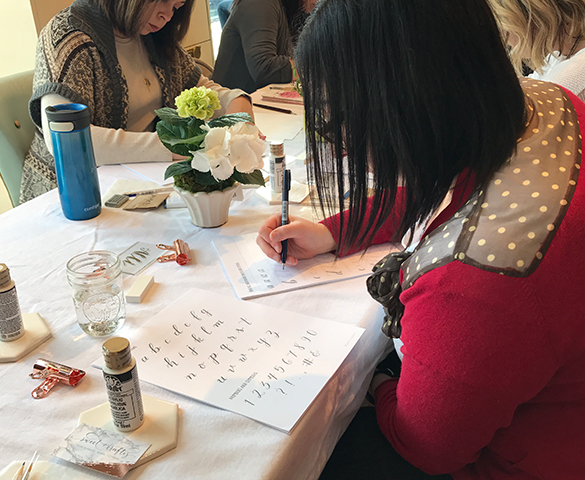 I absolutely love teaching others how to hand letter! 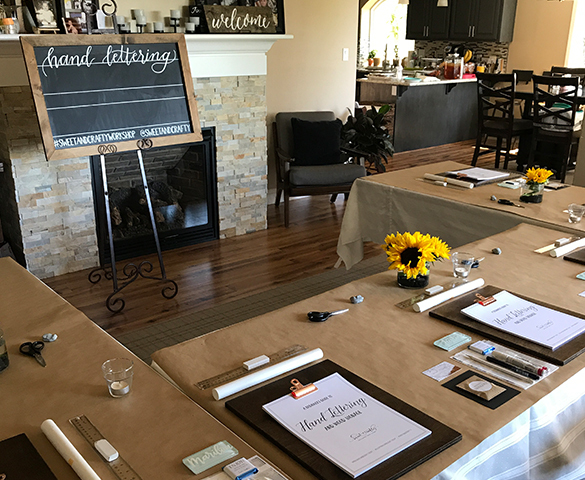 There are two different types of workshops I offer. 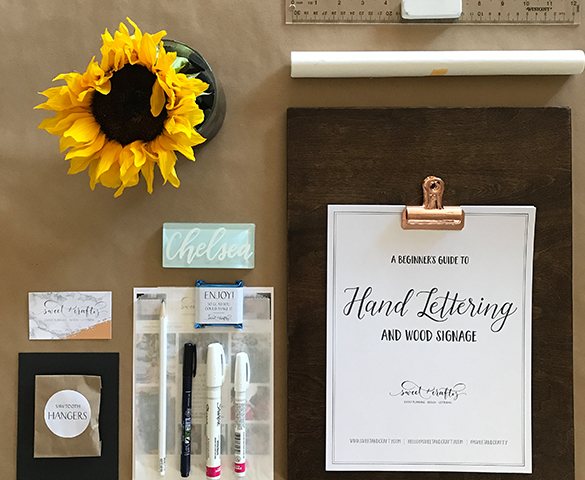 I will either host the workshop and open it up to the public for sign-ups or you can get a group of your friends and/or family together and I come to you with everything needed. 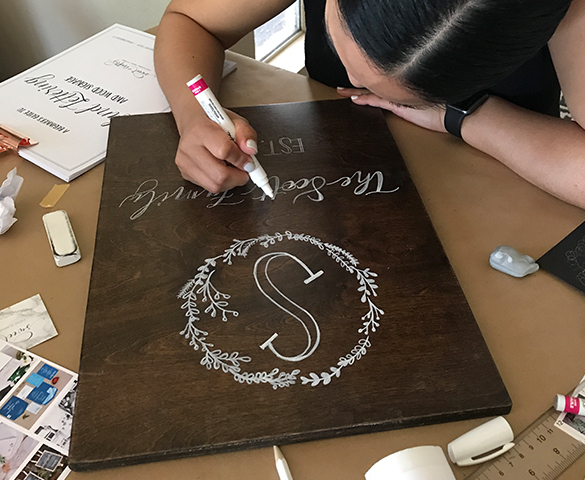 For both, I provide all the supplies, hands-on instruction, comprehensive hand lettering workbook, and your choice of either stained wood or chalkboard signs. 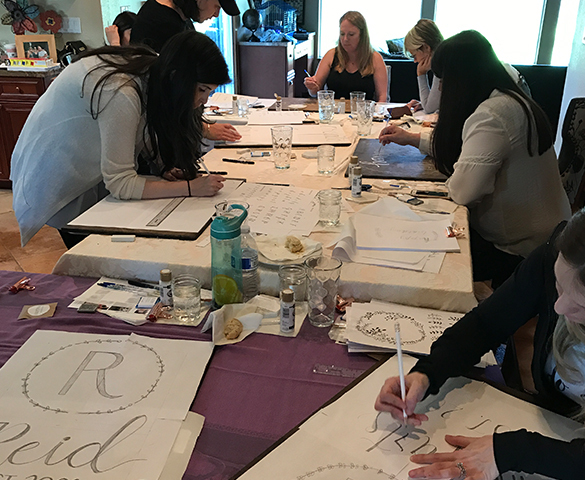 When combining the instruction of hand lettering using the workbook and then designing the signage, it is a full-day workshop. 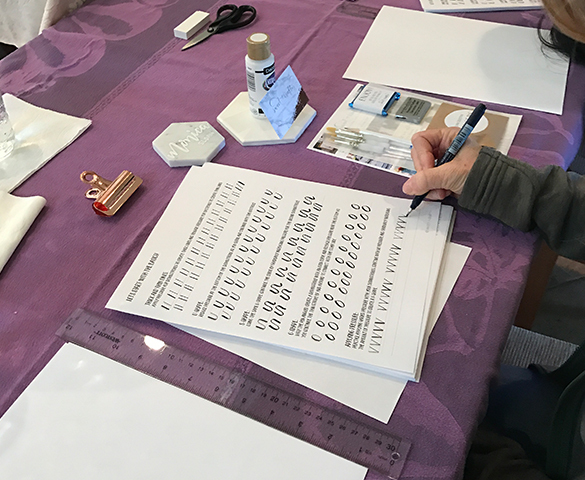 Typically it would be 3 hours of instruction and practice, a break for lunch (which is either provided by the host or myself depending on the arrangement), then another 3 hours working on the signage. 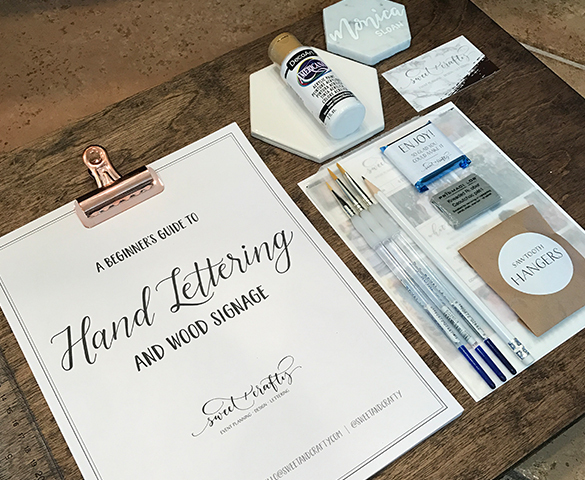 We can break it up into 2 separate sessions, if you wish, first session to learn the hand lettering basics using the workbook and the second session to apply what you learned and create the signage. 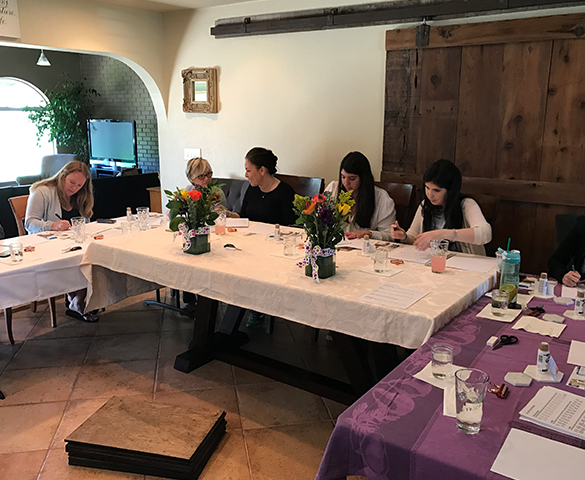 If the location for the workshop is outside a 50 mile radius of Sacramento, there is no travel fee. If it is further, the fee will be based on distance. 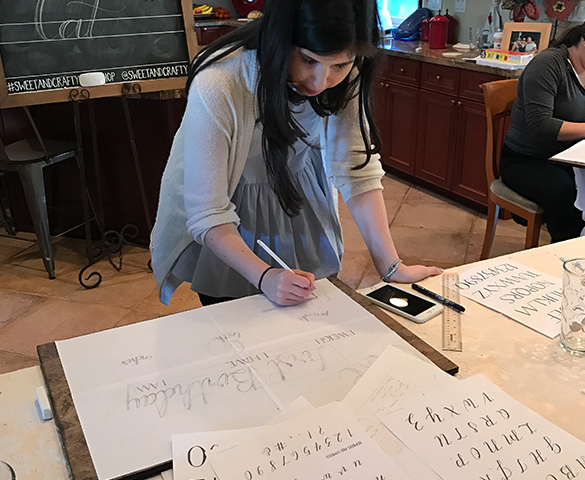 To learn when I will be hosting an open sign-up workshop, follow along on Instagram! 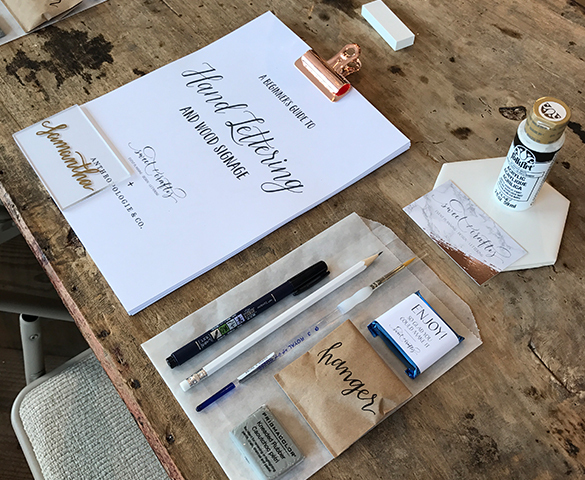 Pricing for the workshops I host will vary based on the location and will be announced accordingly.